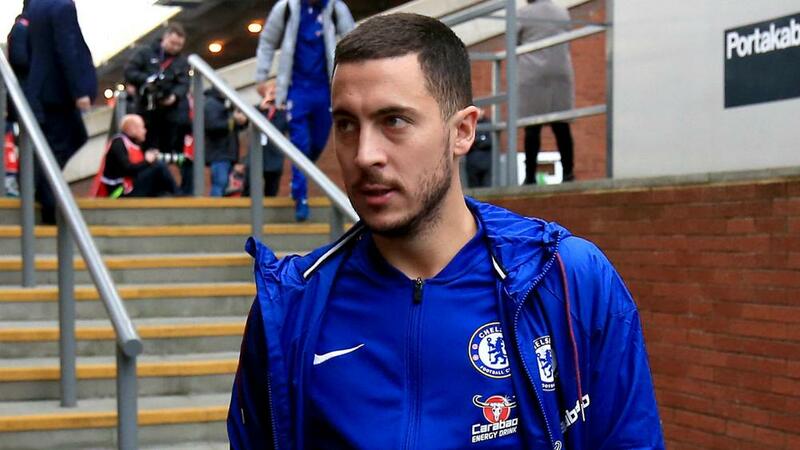 Chelsea's Italy midfielder Jorginho says team-mate Eden Hazard has the potential to become the best player in the world. Eden Hazard's new role as a central forward could see him become the best player in the world, says Chelsea team-mate Jorginho. Hazard has been featuring as a false nine for the Blues of late and he reached 100 goals for the club over the festive period. The Belgium international's contract expires in 2020 and he has made no secret of his desire to win the Ballon d'Or, hinting he sees a move to LaLiga as a possible way to boost his chances. But Jorginho says playing up front and scoring more goals can help Hazard rival players including Lionel Messi, Cristiano Ronaldo and Kylian Mbappe for individual honours. "With the potential he has, if he wants, he can be the best in the world," Jorginho told Sky Sports. "In the new role he's playing, he can score more goals in the position he has and he has the potential to do so." Jorginho moved to Stamford Bridge from Napoli for the 2018-19 season, having rejected a proposed move to Premier League champions Manchester City. And the midfielder said advice from his mother helped him to make the decision over which club to join. "A lot of things happen and then, of course, it comes down to preferences," said the Italy midfielder. "I'm really happy with my choice to be here at Chelsea... what's happened has happened and I'm happy to be there now. "My mum was a big influence in me coming here. Every decision, I speak to my mum and this one was the same. My mum has always been by my side for every decision I take." Joining Chelsea meant Jorginho enjoyed a reunion with his former Napoli coach Maurizio Sarri, who has led the Blues to fourth in the Premier League table. "I think it is easier for me because I know how he works and I know what he wants from me on the pitch. It has made me coming here easier," he added. "I think he has already changed a lot. You can see that on the pitch, we've improved but there is still room for improvement. We need to keep going, keep improving but keep our feet on the ground and who knows, hopefully we'll be able to win something."